At the present moment, while the archives of the Australian Light Horse Studies Centre are extensive, they are not publicly available. The only available material is that which appears on the site which at present moment is less than 1% of the total archive. As a volunteer, you will have access to the archives to assist with your specific project. To date we do not have an online service as the archive has yet to be ordered to allow such an event to occur. However on an ask basis, we are able to pass on the specific information or source documents you may be seeking in your work. All available Routine Orders for the various light horse formations in the AIF. This includes a collection of those publicly available and many that will never appear online. A large collection of personal diaries is held to allow additional study. These are not posted on this site due to restrictions placed upon them by relatives. A substantial collection of private correspondence exists which gives good insight into the daily lives of the men in the various military formations over the two decades. Rare and difficult to obtain books on all aspects of the Australian military involvement. Those in languages other than English are usually accompanied by translations. Included in this collection are all the published and unpublished unit histories. Many thousands of photographs are available in the collection relating to many different subjects. The newspaper collection includes most available Australian and New Zealand newspapers from the major metropolitans to the little country town newspaper. The collection deals with specific time frames. We have the largest private digital map holding in Australia with maps produced during this specific period relating to the light horse. The Australian Light Horse Studies Centre has one of the largest and most comprehensive archives relating to the Light Horse period of the first two decades in Australia. To assist volunteers in their work, a look up of specific information service exists, thus allowing each individual volunteer to overcome an information problem due to distance and access. 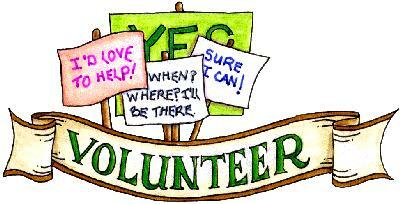 This service is specifically reserved for volunteers and not publicly available except at a price. Do you want to explore your own story? By volunteering to produce content for the Australian Light Horse Studies Centre web site, you are exploring your own historical roots. It is a fascinating journey which produces personal satisfaction with the discovery and helps many others understand their own story. It is a win win situation. By becoming a volunteer, you can make this happen. We will chat about getting you started. The following is an extract from the book by Hall, RJG, The Australian Ligth Horse, Melbourne 1967, pp. 29 - 32. The new Commonwealth Government's reaction to her defence responsibilities was to organize the former State forces into a number of brigades on a territorial basis. This represented 18 Light Horse regiments (see Appendix 6) covering districts from Townsville in the North (15ALH) to Warrnambool in the South (11 ALH ) and Perth in the West (18ALH). To date, frequent use has been made of the term Lancer, Light Morse, Mounted Rifles, Mounted Infantry and Cavalry. The correctness of title prior to 1901 is open to question in some cases. However, a noticeable contribution to Australian Military Forces written doctrine was published under the title of The Mounted Service Manual for Australian Light Horse and Mounted Infantry on 1 July 1902 and authorized by Major General E. T. H. Hutton, Commanding Military Forces of the Commonwealth of Australia. In the preface to the Manual, General Hutton indicates the direction to be taken be Mounted units in regard to tactical operations and defines the nature of the mounted units to be found in the Australian Order of Battle. (a) Horsemen, trained to fight on foot, e.g.-Light Horse. (b) Infantry soldiers temporarily provided with increased powers of locomotion, e.g.- Mounted Infantry. (c) Afford "protection" from surprise for all bodies of troops both halted and on the march. Mounted Infantry are required to perform only the duties pertaining to infantry, who are temporarily provided with increased means of mobility". Reference to the "Marching or Service Order-Field Kit" (see Table 1 to this chapter) shows that the Australian mounted units were in fact of the former category, i.e. Light Horse. Table 2 shows the organization of the regiment. This organization, with minor amendments, was to prevail until 1940. The question of compulsory part time training occupied the early parliament during the period 1902-1908. The results of such arduous labour was the birth of the first Defence Bill of 1908. Before being made law, Mr. Deakin went out of office and his successor, Mr. Andrew Fisher, introduced a more strenuous bill, then the returning akin finally introduced legislation late in 1909. It provided for Compulsory training as a part time commitment. Before this Bill began to operate, Lord Kitchener, at the invitation of the Commonwealth Government, made an inspection of Australian defences. Recommending that the forces be brought up to 80,000, he also suggested that compulsory training of the Citizen Forces be extended to the trainee's 25th year. These recommendations were incorporated into the bill and further drastic changes took place. The militia men, not covered by the 18-25 year compulsory citizen force training, were permitted to complete their current 3 year engagement, but were not permitted to re-enlist. Officers and NCO's were the exception. It can be seen that despite the increase in Light Horse Regiments, the majority of other ranks in the 23 regiments would be in their 19th or 20th year. The implications of this are discussed in the next chapter. The importance, however, of having 23 regiments on the home forces order of battle lay in the increasing association of the mounted soldier with the civil community. The Mounted Service Manual again had a great deal to say on this subject and the parade card of the 4th Australian Light Horse in 1910 devoted three pages to quoting the relevant provisions. "Each troop should be composed of men raised in the same locality, or, if detachments from existing corps, of men belonging to the same regiment or battalion. The permanent sections similarly should be made up by men who live in the same vicinity in civil life, or who will have some association in common. It will be found that the permanent section or comrade system, if carefully and intelligently adhered to in principle no less than in letter, will produce the highest form of discipline. Men will naturally fight better and with more confidence among those whom they know and trust rather than among strangers". Such principles lent themselves ideally to the rural distribution of the troop centres. Regardless of how often the number of the regiment changed or the number of "linkings" they experienced, the territorial title identified the soldier with his district. Seymour, Victoria, so familiar to soldiers of all arms and service for a number of years, first saw a mounted rifle troop in 188 (Seymour Mounted Rifles). 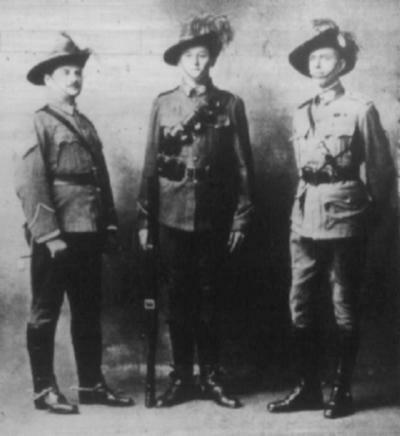 Later the Seymour Troop was to appear with 7 ALH, Victorian Mounted Rifles (1905), 15 LH Victorian Mounted Rifles (1912), 14 LH (1919) and 20 LH (1935). No less familiar to today's recruits is Wagga-Wagga (NSW), which raised its own light horse in 1885 and continued to have representation in 12 LH and 12/24 LH until 1940. Many of the territorial titles were derived from unit names of pre-federation days. For example in South Australia, the 18 LH Adelaide Lancers called upon the early formation of the Lancers in 1892. Others adopted "State" titles, as with Queensland Mounted lnfantry and Western Australian Mounted Infantry. The "district" titles such as Hunter River Lancers, Northern River Lancers remained for over 50 years. Within regiments, squadrons and troops became known by their territorial title and as such were recorded upon the many cavalry trophies available in pre 1939 days. By 1913 all the light horse regiments had adopted their territorial titles. Within the brigades, the regiments changed numbers to such an ;tent that the territorial titles provide the only means of locating the line of descent. Examination of Appendix 6, 7 and 8 will show the considerable expansion and redistribution of unit areas, particularly in the districts from which the divisional cavalry regiments were raised. The total strength of the light horse in 1914 appeared formidable with approximately 9,000, all ranks. Grobelaar Recht, near Carolina in the eastern Transvaal, was the scene of a severe engagement on 15 May 1901 involving Boers and a British column commanded by Lieut.-General Sir Bindon Blood which included the Fifth and Sixth West Australian Mounted Infantry contingents. Grobelaar Recht, First Report of Battle, Times 18 May 1901, p. 7. Grobelaar Recht, Full description of Battle, Times 20 May 1901, p. 7. Grobelaar Recht, Summary of the situation, Times 21 May 1901, p. 5. Almost a year has passed since the beginning of the Australian Light Horse Studies Centre. The site has evolved accordingly with the look altering as time has passed. With the kind assistance of Steve Butler, the man who designed the new header, the site has a more vibrant look. Apart from the new graphic as the header, the search box has been moved to the margin. Descriptions have been altered to fit in with the new look. They have been drastically cut down to allow ease of access to the vital information. Despite all the changes, the usual items are still available. On the left hand side, all the threads (some 220) are detailed. In each thread is a "Contents" listing of all items contained within that thread. The threads are placed in a logical order and grouping, with each group containing a seperate overall description and table of contents. Each of these modifications is aimed at assisting each person to find exactly the information they are seeking. Every day new information is being added. To date, there are 2,200 entries containing over a million words and many thousands of illustrations. This will grow rapidly in the next year. Grobelaar Recht, near Carolina in the eastern Transvaal, was the scene of a severe engagement on 15 May 1901 involving Boers and a British column commanded by Lieut.-General Sir Bindon Blood which included the Fifth and Sixth West Australian Mounted Infantry contingents. During this action the WAMI lost five men killed (one account says seven) and eight wounded, one of whom later died. The fighting continued next day near Brakpan, at one stage during which the British right flank was forced to retire. Withdrawing under heavy fire, Lieut. Frederick Bell of the Sixth WAMI contingent noticed a wounded man without a horse and returned to take him up behind him. The horse collapsed under their combined weight, whereupon Bell sent the man back on the horse alone and covered his escape by rifle-fire until he was out of danger. For this action Bell was awarded the Victoria Cross.